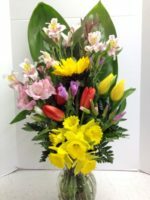 Flowers soften the sorrow at a funeral service, and we share in your loss when we design and deliver this beautiful white standing spray. 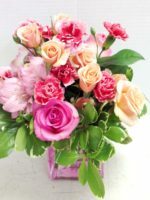 White flowers such as lilies, roses, carnations and mums create this beautiful white standing spray as a tribute to your loved one. 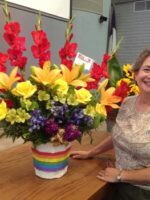 We deliver to all of the funeral homes in the Valley of the Sun and we can arrange delivery of a similar beautiful white standing spray across the country. 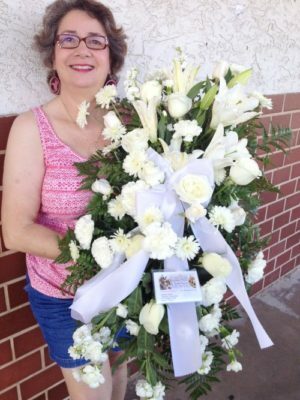 Convey your condolences with a beautiful white standing spray from Roadrunner Florist.